2014 is going to be a busy year for new models. 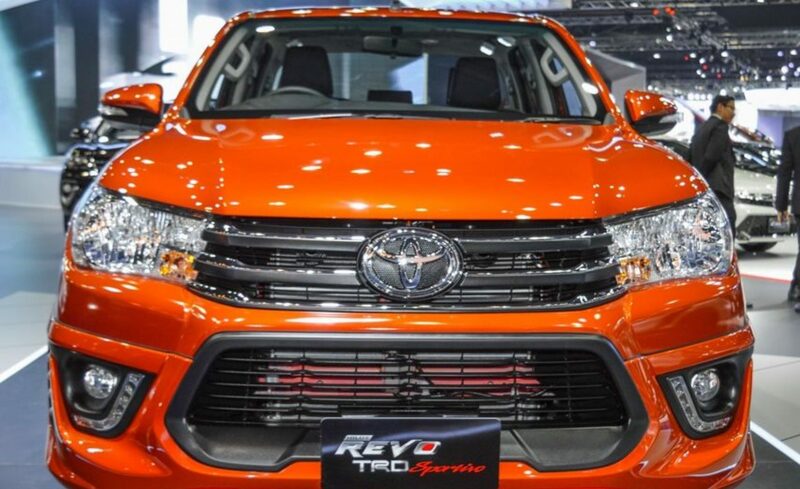 The biggest news for 4WD pickup truck and SUV lovers is expected release of Major Change Toyota Hilux Vigo and 2014 Toyota Fortuner. Here is the expected schedule for 2014 Next Generation vehicles. 2014 Major Change Fiat Viaggio: Chinese-built Viaggio small sedan shares its underpinnings with the Dodge Dart and the Alfa Romeo Giulietta. It will be powered by Fiat’s 1.4-litre turbocharged four-cylinder petrol engine and will be a new player in the ever-expanding premium small-car segment. 2014 Major Change Lamborghini Sesto Elemento Super-lightweight at 999kg and super-powerful with 419kW, Lamborghini claims the Sesto Elemento concept can blast from 0-100km/h in a phenomenal 2.5 seconds. Various carbon-fibre technologies are said to have made their world-first automotive application with this car. The lightweight construction also aids the reduction of fuel consumption and emissions. 2014 Major Change Gordon Murray Teewave AR.1: The 3975mm long, 1765mm wide Gordon Murray Teewave AR.1 roadster’s 850kg weight includes a 240kg, 16kWh lithium-ion battery pack that can be fully charged in six hours and provides a claimed 186km range when sending power to the road through a mid-mounted 47kW electric motor borrowed from a Mitsubishi i-MiEV. 2014 Major Change Jensen Interceptor: This four-seat grand tourer sports car originally produced between 1966 and 1976, is set to make a thoroughly modern comeback. A public unveiling is planned for late 2012, with first deliveries in 2014 from a new facility to be built on the site of Jaguar’s old Browns Lane factory in Coventry, UK. 2014 Major Change Tesla Model X: Tesla is generally known for building electric powered sports cars plans to add a seven-seat SUV to its line-up.